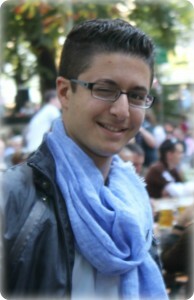 Antonio was born in 1990 in Stuttgart from Italian parents. His first musical experience was joining the Knabenchor Stuttgart (Boys Choir) at the age of nine years. Since then singing became a very significant part of his life. After school he began his studies in musicology and music management. After his expected graduation in 2014, he hopes to enter the conducting Master (with singing as secondary subject). He has performed in many choirs, but the Tenso Europe Chamber Choirs is going to be his first international experience. He is looking forward to meeting and working with people from all over Europe. In his spare time he likes to play football, hang out with friends and travel the globe!